Check them out! You know I love puppy visitors the most! 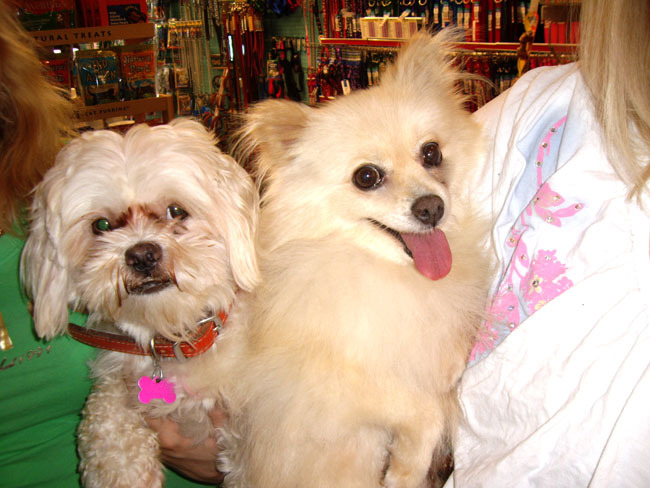 Here is Gucci, the Shih-tzu/Poodle mix and Prada the Pomeranian! I love Pomeranians the most, so I’m always most excited when I get a Pommie visitor. :) Thank you so much for coming by! And here is my buddy, Stanford Couchon! 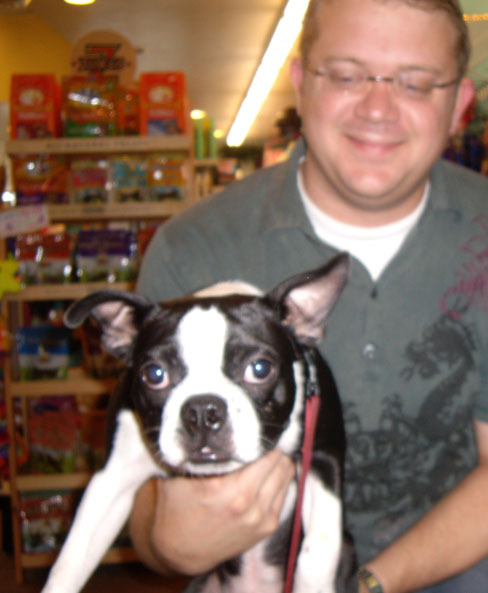 I remember when he first came to City Pets at just 8 weeks old… Look at how big he has gotten since he went home! Stan the Man loves the dog park, Dad tells us, and even though he had just been, he was so wound up and excited to be in the store. :) Stanford is a fun guy and it was good to see him again. 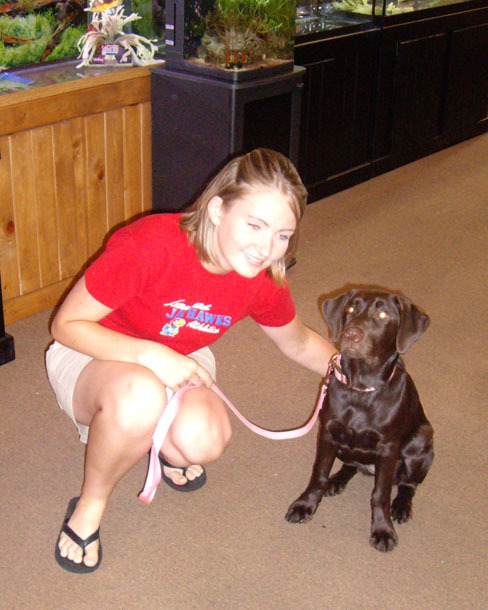 And here is a beautiful chocolate Labrador named Java! Java was very lovely and VERY interested in the kitties we have. (Did I mention that we have kitties? ;) Only three left!) I’m sure we’ll see you soon, Java! Come back and visit! Just over one year after opening, our first Customer Appreciation weekend is coming to a close! We had some great deals, some great prizes, and lots of great fun! 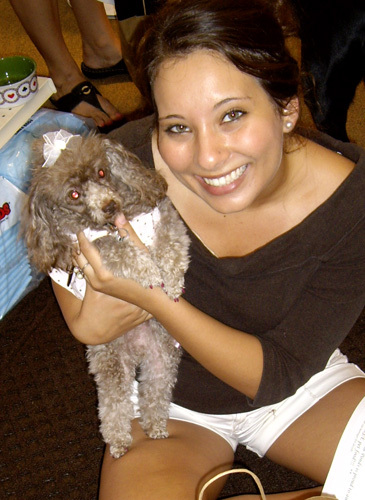 Other special events this weekend included a Furry Fashion pageant! Though modestly attended, our contestants put on a great show, with a fantastic group of super cute outfits. 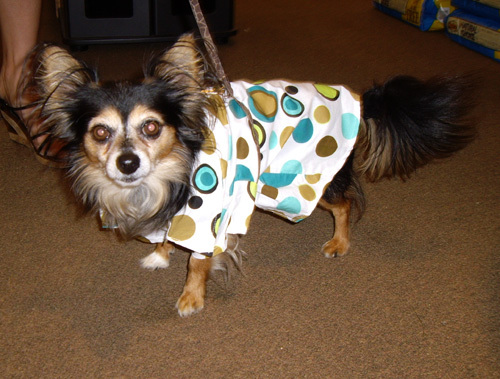 Check out the handsome Javier in a striking polka-dot shirt! Layla was lovely in a soft pink dotted dress. 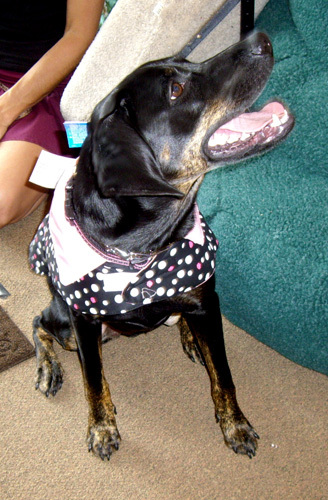 Lucy was prepared for the worst, but still looked fashionable in her cute pink and black raincoat! Veta and Chile were nowhere to be found, for shame, but the two turtles who arrived in their places really stole the show! 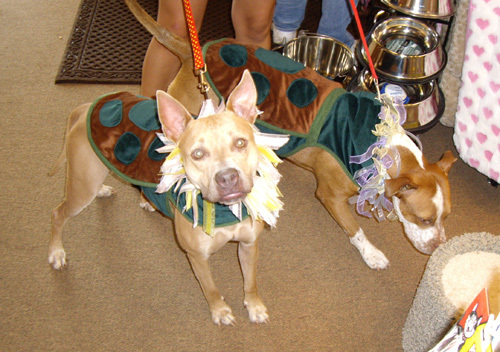 A big round of applause goes to Layla and Veda and Chile for winning the grand prize: 6 months of free dog food! And congratulations to all of our contests, who ALL looked fabulous and took home wonderful prizes. But the fun keeps coming! Two raffles were held this weekend as well! One lucky customer took home a Perfecto 55 gallon aquarium, complete with hood, light, and stand! Congratulations to John Bauer! The second prize, a complete puppy training kit, including a kennel, food, collar and lead, and all puppy supplies, is being drawn for today. Results will be in soon! The weekend event has been great fun for the City Pets crew, our loyal customers, and hopefully all of our new customers! Next year’s event promises to be even better, with more wholesome fun, amazing prizes, and exciting events! City Pets and Ponds extends a big THANK YOU to everyone who helped make our first Customer Appreciation weekend a fun and fruitful success. Fire bellied toads in this week too. Got some great looking lionhead goldfish in too. These little guys are called American or Florida flag fish. It is in the killifish family and loves to eat hair algae.